Even for us, time is limited, and we can only feature so many bikes. We’re limited to the quality of photos that sellers take of their own bikes. That’s not the case with one of my favorite motorcycle websites, BikeEXIF. It not only features amazing custom motorcycles, but incredible photography and enjoyable articles as well. If you’re looking at any MZ, your best option is MZ Riders – by far the best resource out there online. Jason Cormier “obsesses about weird motorcycles around the world”, and he knows his stuff. 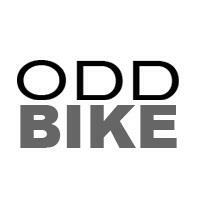 He runs OddBike, and his articles are in-depth, very informative, and cover the kinds of motorcycles I aspire to find for sale. Pipeburn showcases the work of elite bike builders all over the world. Focusing on cafe racers, they’ve got some beautiful shots and lengthy, educational write-ups. Those of you lucky enough to have ridden the Snake have probably seen Paul Herold working his magic (usually at the last hairpin), making us look good. Follow him for beautiful photos, updates on the Snake, and a general good time. Make sure you say hi to him the next time you’re up there – he’ll be sure to take care of you! Paul D’Orleans, the man behind The Vintagent (The World’s #1 Vintage Motorcycle Site), is a legend who has spent the last 30 years collecting vintage bikes and sharing his experiences with the world. A consultant for the the auction house Bonhams, Paul is as knowledgeable as it gets, and his articles are on a different level from established motorcycle media.